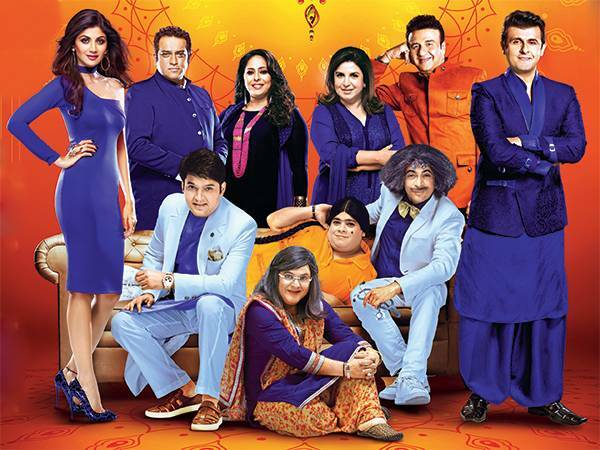 The Kapil Sharma Show 19th November 2016 (TKSS) Episode: The episode begins with prologue promoting the other shows on Sony TV. It’s a matter of 21st anniversary of the channel, and they have decided to change the look. Dr. Gulati was taking the class of his patients and make them learn the sponsorship line to impress the promoters. He started patients checkup by checking the nails. He calls for lottery and Kapil Sharma arrived in the house, he questions his arrival on the name of the lottery. Rochelle Rao (Lottery) came, and Dr. Gulati told her to clean all the patients since its 21st anniversary of being a doctor. Then small punches started between Kapil and him; Kapil concluded the debate by saying his grandpa used to irritate grandmother. Dr. Gulati justified that Chappal is better than Paneer when it got boiled in the cooker. He is going to use the sleepers in next party in the house. Kapil once again announced the anniversary of Sony TV and made aware about Sony TV logo change in the show. He calls for actors of the channel and only Dadi with Candu arrived on the show. They talked about the upcoming stars from CID and other shows. Dadi justified that everyone used to call her ‘sony’ when she was young. All the actors of Sony leading shows arrived on the stage. The fourth one was the most popular team. Finally, it’s the time for CID team to come on the stage. ACP Pradhyuman arrived on the stage and Nani started flirting with him. Kapil reveals that CID is the only show in the country which has completed 18 years on screen. Dr. Salunke also arrived with him. Chandu asks about the way Salunke solves every case with only one lens. Then Dr. Gulati arrived on the stage and found his long back brother Dr. Salunke. They both started dancing after hugging each other. Dr. Gulati says – I am Dr. G KTGH (Kuch to Gadbad Hai), Dr. Salunkhe replied the same. Then the season of mimicking starts and they keeps on mimicking each other. They both started dancing in The Kapil Sharma Show with each other on Gujarati song – Bhai Bhai. The another one was the Crime Patrol, and Anup Soni started alleging that Chandu does adulteration in his tea. Anup Soni didn’t spare Dr. Gulati and Nani also and termed Nani as ‘Kissing machine.’ The second part of The Kapil Sharma Show was with the Tum Bin 2 cast. Geeta Maa of Super Dancer subsequently arrived on the show. Chandu tells everyone that he can be a witness today as Geeta Maa is here to take the oath of. Kapil and Geeta did a bunch of flirting.